Square modern feet and a hint of frosted glass make our handcrafted Seguso Modern Server the perfect complement to your Contemporary dining room. Modern styling with a traditional purpose, this made-to-order buffet can find a home in your dining room or entertaining space. Made entirely of responsibly harvested domestic hardwood, each Seguso Modern Server is built to last. Features include a mirror back display with fluorescent lighting, glass doors with frosted bands, and full extension drawers. Choose from our options menu and our Amish artisans will prepare the Seguso Modern Server you design. 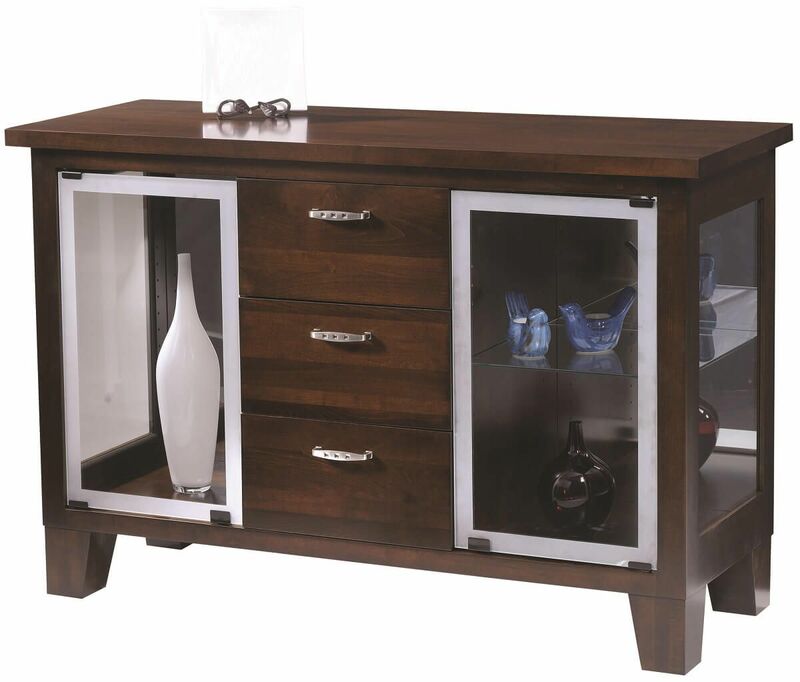 Shown in a sleek Brown Maple with our Winter Bark wood finish, your Amish-made sideboard will be one of a kind.